Western Digital has been in touch with Tech.co.uk to repel some recent web reports which criticised its Anywhere Access WD hard drives. Some sources reported that despite being designed to share files over a network, WD's My Book World Edition drives do not allow you to share music and video files. 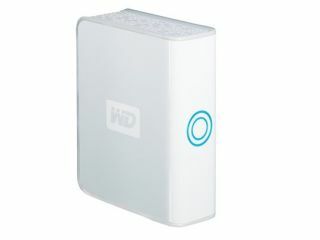 "Add this unique remote-access storage system to your wired or wireless network and you'll have a surprisingly simple and secure way to access and share data and photos, at home, in the office, and anywhere in the world - even when your local computer is off," says WD on the product page for the related external drive. Some customers have been complaining that the WD drive will not allow them to share their music and videos across the web as promised. But WD told us that it's nothing to do with the product in question and it's all to do with the MioNet third-party software. "MioNet currently does not support sharing over the internet of digital file types commonly associated with copyright-protected material. These restrictions apply only to file-sharing of audio and video files between users over the internet using MioNet software. The restrictions do not pertain to Western Digital hard drives," says Daniel Mauerhofer, director of public relations at Western Digital Europe. "MioNet software, which is included with WD's My Book World Edition storage appliance and sold separately, is not required for users...to share files of any kind across internal home or office networks [local area networks]. "We acknowledge that this arrangement is far from ideal, as it keeps people from using the service to share home movies and MP3s of your son's school band [smirk - ed]. WD is trying to look at fingerprinting technology that will let it filter out copyrighted material and still allow sharing of other material." However, there are several workarounds which would allow you to use your My Book World Edition for the above purposes. Firstly, don't install the MioNet application. You can use the Samba app instead, or even use a cut-down version of Linux. The WD site even provides instructions on how to install Samba on your drive, although the instructions page seems to be currently down "for maintenance".